The best company to trust when it comes to construction storage in San Francisco is Haulaway Storage Containers. This is who you call when you need construction storage containers for rent in the bay area to give you the right storage solution. If you buy a home that you need to fix up in order to sell at a higher price you will need a place to keep materials during the project. The containers from Haulaway Storage Containers are the best place for you to keep your items during the project. Haulaway offers you five different sizes of containers to choose from making it easy to have the right sized construction storage containers for rent for your project. Their sizes include ten, twenty, twenty-one, twenty-six and forty foot long containers that open on both ends to give you the easiest access for your project. As the best solution for construction storage in San Francisco you can easily work on your project and have the materials you need at your jobsite for the project you have in mind. When you want a great storage solution you have to make sure you call Haulaway. Whether you have a small project or a large one Haulaway has the construction storage containers for rent that you need. These containers are made from high strength fourteen gauge steel and have steel and hardwood floors to give you the support you need. Not only are these containers made of these materials, they are wind and water resistant to give you the protection from the elements you need on any job. 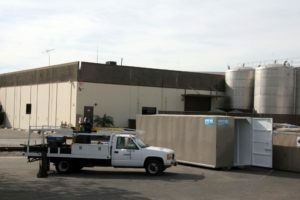 The name to trust for construction storage in San Francisco is Haulaway Storage Containers. With their speedy service and amazing products they’re the storage solution.